Dominican Republic Tourism BoardOn the Samaná Peninsula, nature occurs in the drama of green, jungle-draped mountainsides, the sensuous curve of a perfect powder-white beach, the sight of a mother whale and her calf frolicking in the deep ocean waters. These are the images that first-time visitors take home from Samaná, inspiring them to return again and again. The Samaná Peninsula is a thin strip of land in the northeast part of the Dominican Republic, bordered by the Atlantic Ocean on one side and the Bahía de Samaná on the other. Considered by some to be the prettiest part of the island, it is Samaná’s extraordinary diversity in geography – romantic beaches, rainforest, waterfalls, mangroves – that makes it an attractive choice for the more independent-minded traveller. 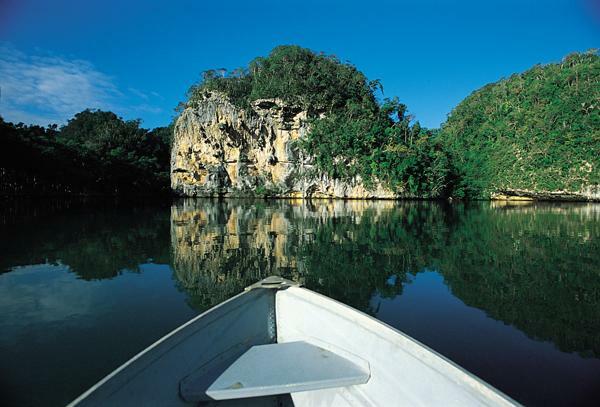 For those that want to get out and explore the tropical landscape, Samaná is the perfect destination. The peninsula is easily explored with more than enough to keep ecotourists and sports enthusiasts occupied for a weeklong stay. Use one of these three towns as a base. Each has got its own style and flavour, as well as access to attractions and destinations to please every nature lover. 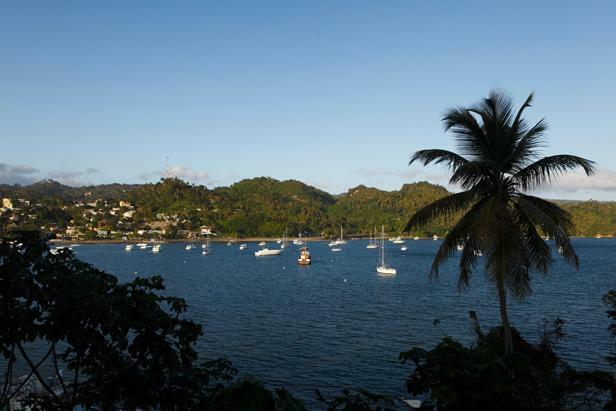 Known commonly as Samaná, this pretty little harbour town sits on the Caribbean side of the peninsula. With its winding streets and wide restaurant-lined Malecón (the seaside boardwalk that leads to the port), Samaná is easily explored on foot. Visitors staying at the nearby all-inclusive resorts use the town as a departure point for whale-watching excursions and daytrips to some of the small islands. The biggest tourism event in Samaná is definitely the arrival of the magnificent humpback whales. Every winter (peak season is January through March), these giants of the deep migrate by the thousands to the warm waters around the peninsula, an important sanctuary for them to breed and calve. 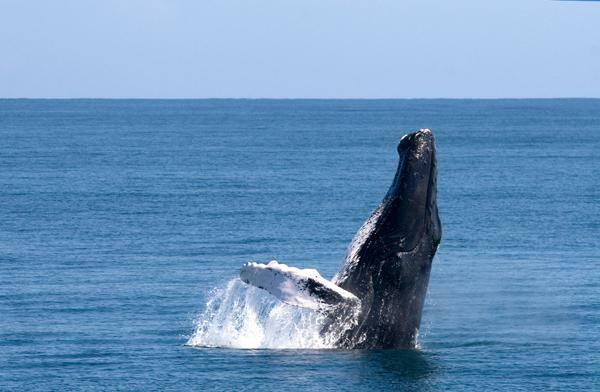 The World Wildlife Fund has ranked Bahía de Samaná as one of the best places in the world to observe the humpbacks. Whale-watching tours depart from the town’s waterfront – it is important to choose a tour company that adheres to the whale-watching regulations designed to protect these mammals. Dominican Republic Tourism BoardBoats also depart from Samaná for daytrips to the very picturesque Cayo Levantado, the original island photographed in the Bacardi Island rum campaign. The small island is made of a protruding coral reef and is a very popular destination for tourists looking for the quintessential white sand beach ringed by calm, shallow turquoise waters. At one time Cayo Levantado was completely off the tourist radar, but construction has been booming and cruise ship passengers have discovered its near-perfect shores. It’s still worth the visit – but you won’t be alone in paradise. Samaná’s history is very much on view at the La Churcha, the only wooden building to survive a major fire that devastated most of the town in 1946. The Methodist church was originally imported to Samaná from England as a gift to former slaves of the United States who had settled in the peninsula. Re-assembled piece-by-piece, the church is one of the few historical remnants of the old-style architecture of the town. Known for its remote location (it’s on the far northeast tip of the peninsula), untouched secluded beaches and quiet ambience, the small village of Las Galeras is the stepping stone to many of the most gorgeous beaches in the Dominican Republic. It’s a good choice for the independent-minded traveller who wants to explore outside of the larger resort properties. And a good place to interact with the local people – try a fresh seafood meal at the fishing shacks that line the entrance to the beach. 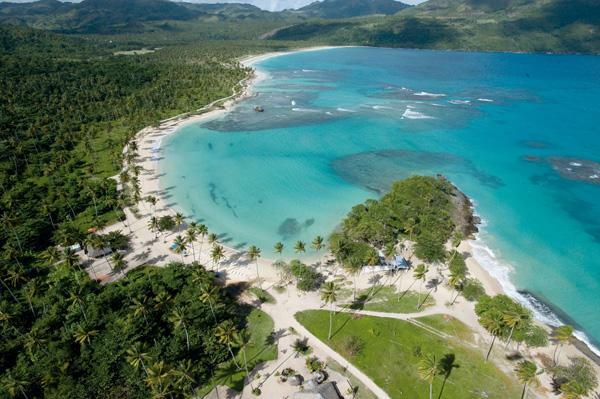 Dominican Republic Tourism BoardClose to Las Galeras, the remote Playa Rincón has been named one of the top 10 beaches in the Caribbean. It’s the paradise that tourists from the cold north are hoping for – startling aquamarine waters, a deserted three-kilometre stretch of gently curving white sand backed by a thick grove of coconut palms and a dramatic backdrop of towering cliffs and forested hillsides. Just offshore, Cabo Cabrón is considered one of the best dive spots along the northern coast. This challenging dive site is known for its rocky formations, and imposing underwater walls and caves that are home to schools of brightly-hued tropical fish, turtles, fans, sponges and corals. Those looking for the island’s trademark long stretches of sand without sacrificing some exciting, fun-filled nightlife should head for the village of Las Terrenas, closer to the neck of the peninsula. 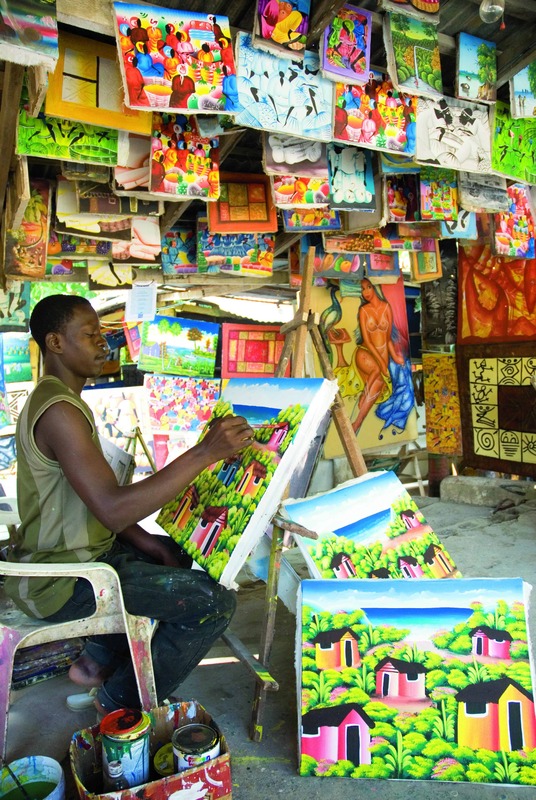 Las Terrenas is known as a hub of activity; a very busy activity centre with tour operators, bars and restaurants, sports centres and shopping opportunities for original artwork and amber jewelry. It’s a departure point for excellent snorkelling and diving expeditions, and horseback riding excursions along the beachfront or scenic jungle trails. Kiteboarding, surfing and wakeboarding conditions are ideal along this stretch of coastline – the bustling town centre is home to many operators offering lessons, equipment rentals and sporting excursions. Nolitours & Transat HolidaysLas Terrenas has an amazing selection of eateries – from authentic fishing shacks to romantic dining experiences. Fresh seafood is brought to restaurants right from the beach – it can’t get any fresher than that! On most menus, the taste of coconut marks the rich Caribbean flavours from savoury sauces to decadent ice creams. 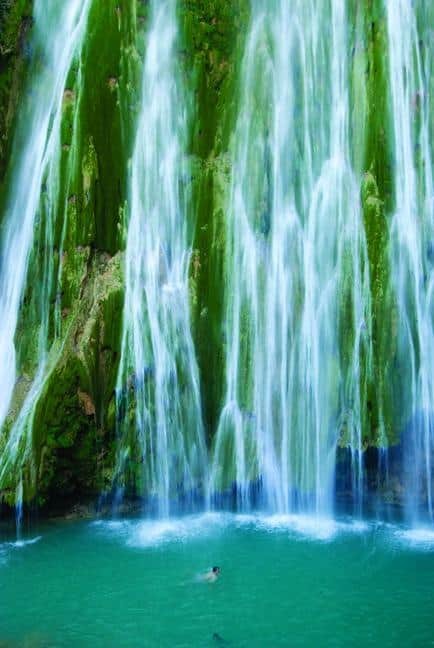 A not-to-be-missed ecotourism adventure is the day trip to the magnificent waterfalls at El Limón. Only for the physically fit, the tour is on horseback through thick, lush forests, followed by a strenuous hike to the actual site of the waterfalls, where a torrent of water rushes from the Limón River, dropping over a 50-metre high cliff and splashing into a small pool at the base. The good news is that hikers are rewarded with the chance to dip into the waters of the very scenic swimming hole. 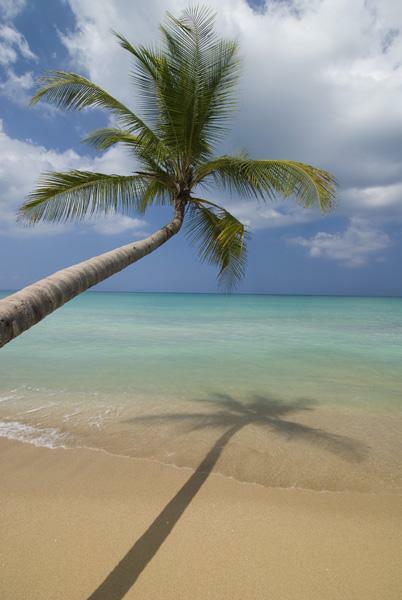 Las Terrenas is famous for its beautiful beaches. Playa Las Ballenas is a good choice for snorkelling and diving at the coral reefs, shipwreck and underwater caves. Nearby, Playa Bonita’s 13-kilometres of golden sand and challenging waves draw a smaller crowd – good for those wanting to lay back and chill. Nolitours & Transat HolidaysLas Terrenas is a well-positioned home base for excursions across the Bay to Parque Nacional Los Haitises, another dream expedition for ecotourists. The national park is home to rainforest greenery and some of the largest mangrove reserves in the entire Caribbean. Trained guides lead cultural expeditions to see the drawings made on cave walls by the ancient Taíno peoples. Excursions can be booked from most hotels to Parque Nacional Los Haitises. Four-wheel drive jeep excursions are a very popular way to get out into the Dominican countryside to meet the local people, have a sip of some fresh coffee, find secluded beaches, explore caverns and take a dip in the natural pools at a waterfall. It’s a wonderful way to explore the real Dominican countryside, off the resort. Most hotels and resorts are able to book these guided tours.